Below you can view all the homes for sale in the Tallyns Reach subdivision located in Aurora Colorado. Listings in Tallyns Reach are updated daily from data we receive from the Denver multiple listing service. To learn more about any of these homes or to receive custom notifications when a new property is listed for sale in Tallyns Reach, give us a call at 720-580-6694. This Is Truly A One Of A Kind. MLS#8457853. RE/MAX Alliance. Blocks from exemplary Cherry Creek Schools, Southlands Mall, Arapahoe Library as well as the having the convenience of nearby shopping and dining. MLS#3544439. BTT Real Estate. This home has been updated, too many to mention. MLS#4948253. Brokers Guild-Cherry Creek Ltd.. Walking distance to Award-Winning Coyote Hills Elementary. MLS#2570793. MB LYDIN GROUP REALTY LLC. Close to major highway, shopping centers, Southlands mall. CC schools. MLS#5560050. MB Champion Realty. Whole home audio, dual main level staircases, dual zone heat & air. MLS#4556623. RE/MAX Professionals. Breathtaking mountain views from the pergola covered patio, fire pit, turf and backing to open space! MLS#7875519. MB BELLISSIMO HOMES. Amazing home! Don't miss it! MLS#2369585. Meyers Real Estate Group. This home will go fast; You do not want to miss the rare opportunity to move in such an unique architecture home at Tallyn's Reach. MLS#3420982. AnJoy Realty, LLC. This home is well maintained & ready to move in now. MLS#3756471. HomeSmart Cherry Creek. Conveniently located near the Southlands Town Center, DIA, Denver Tech Center, Park Meadows and easy access to E-470. MLS#6198810. RE/MAX Professionals. Hurry, this one won't last! MLS#5038680. RE/MAX ALLIANCE. Gas cook top in kitchen with 42 inch cabinets along with island plenty of storage. A must see! MLS#8952939. RE/MAX MOMENTUM. A great deal on this home with so much to offer! MLS#4375373. LORIN PROPERTIES INC.
With acceptable offer by April 30th, sellers will include: pool table, bar stools in basement, home theatre chairs, washer & dryer, snow blower, lawn mower, outdoor patio furniture, gas grill & $1000 carpet allowance. MLS#6500296. RE/MAX Masters Millennium. Don't miss this serene location. MLS#8071302. Porchlight Real Estate Group. Other features include central air conditioning, and unfinished basement with rough in plumbing and newer carpet on the stairway and upper level. Community pool too! MLS#2769729. Coldwell Banker Residential 44. Come see this amazing house while you can! MLS#5182406. RE/MAX Structure. Home comes with a 30-day buyback guarantee. Terms and conditions apply. MLS#9781806. Opendoor Brokerage LLC. 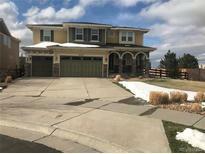 ~ Enjoy All The Conveniences This Area Can Offer ~ Close To E-470 And Southlands Mall. MLS#8776610. Keller Williams DTC. This Warm & Elegant Home Is Waiting For You To Call It Your Home! MLS#6742496. RE/MAX Professionals. Tallyn's Reach neighborhood has community pool, club house and Tennis Courts. Great Community. MLS#2161939. Coldwell Banker Residential 26. Close to Shopping, Schools, and Trails. MLS#3186047. RE/MAX Professionals. Home comes with a 30-day buyback guarantee. Terms and conditions apply. MLS#5025999. Opendoor Brokerage LLC. Home comes with a 30-day buyback guarantee. Terms and conditions apply. MLS#4109650. Opendoor Brokerage LLC.